NATO is maintaining its increased military presence in the Baltic States by continuing to send the alliance’s patrol jets to the region’s airspace, citing the alleged Russian threat. 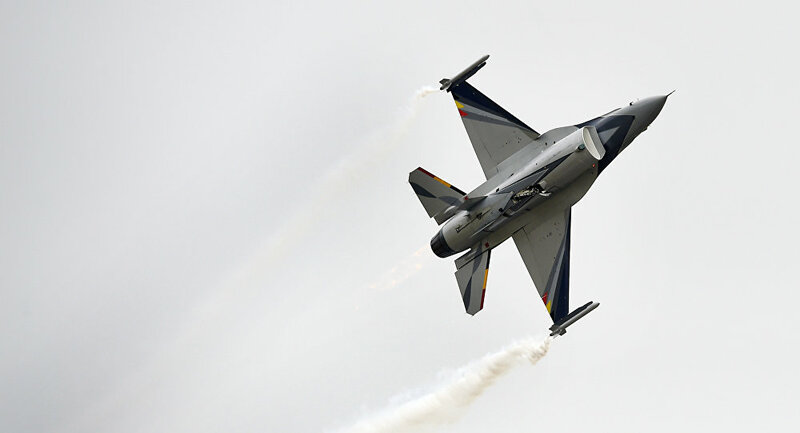 TALLINN (Sputnik) — Belgian F-16 fighter jets, which are conducting a mission to police the skies over the Baltics, will be carrying out daily low-altitude training flights over Estonia between Monday and Friday, the press service of the Estonian Defense Forces has announced. "The F-16 fighter aircraft of the Belgian Air Force will carry out flights at a height of at least 152 meters (500 feet) away from residential areas," the statement reads. Belgian pilots took over the policing mission on September 5, replacing four Spanish Air Force F-18 Hornet fighters, as the three Baltic states do not possess planes suitable for patrolling the air. NATO member states have been engaged in patrolling the Baltic airspace since their accession to the alliance in 2004, with fighter jets being stationed at the Lithuanian Zokniai airbase and the Estonian Amari base. At the NATO summit in Chicago in 2012, the NATO mission in the region was extended for an indefinite period. The statement accords with the NATO Secretary General Jens Stoltenberg's announcement made in late November, vowing that the alliance would maintain an increased military presence in the Baltic states and Eastern Europe "as long as necessary", naming the alleged Russian threat as the main reason for the move. Moscow, for its part, has repeatedly slammed NATO's military buildup close to the country's borders, vowing to "answer with a suitable response to all of these actions."